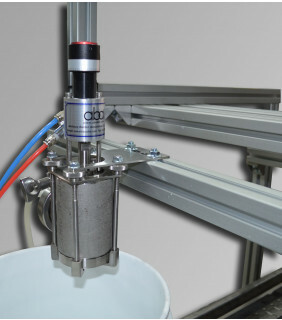 ABA-TOPOFF-COV-100 is a cone style fill head which is used to deposit anti-skimming agents onto the surface of the liquid. 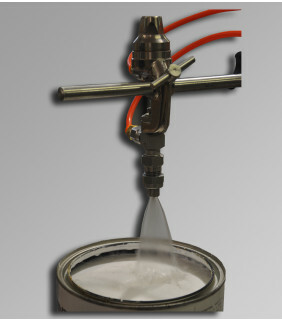 The ABA-TOPOFF systems spray anti-skimming agents onto the surface of the liquid. 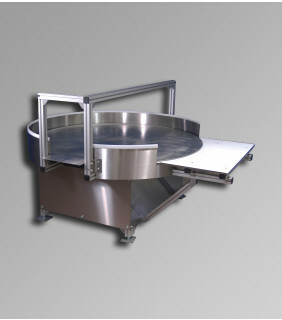 The ABA-RT-60-OUT is a 60 inch diameter out feed rotary table. 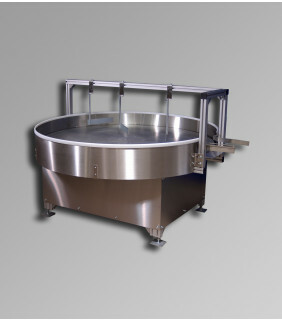 The ABA-RT-60-IN is a 60 inch diameter in feed rotary table. ABA offers accessories which can be added to our liquid filling machines or to complete fill lines to improve productivity and efficiency.